Summer is not quite here yet but you can certainly feel the weather turning. 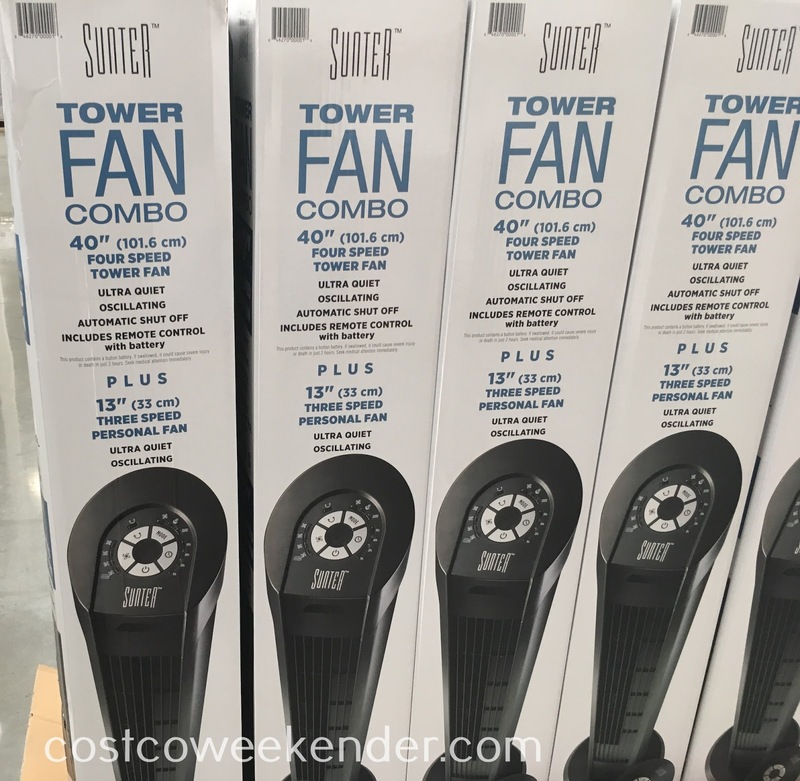 Stay cool this summer with the Sunter Tower Fan Combo. Air conditioning is great and all but the energy costs can sometimes get out of control. So the next best thing is to get a fan. But why not get a combo pack that includes 2 fans? 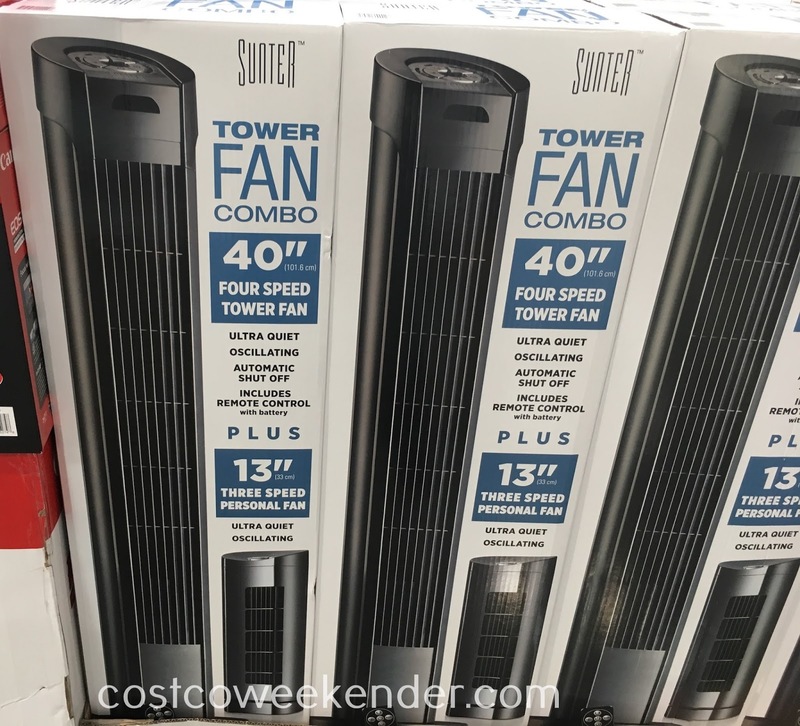 The 40-inch tower fan can cool down a room in no time with 4 speeds. Remember, it's not just blowing cool air from the outside into the room. You also have to have another fan blowing the warm air out of the room. This keeps the air in the room moving and draws the cool air from the outside into the room. With the included remote control, you don't even have to expend energy getting off the couch. Need more cool air? 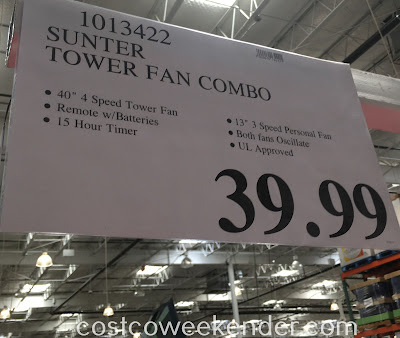 Then the Sunter Tower Fan Combo from Costco has you covered with the included 13-inch personal fan. 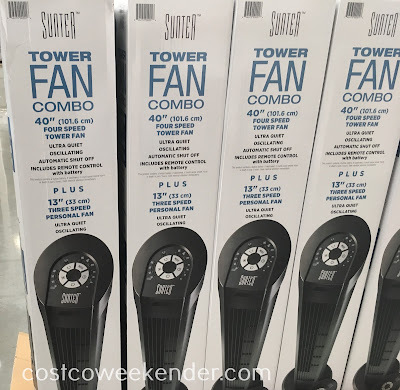 So beat the heat and get ready for summer with the Sunter Tower Fan Combo.